Happy Anniversary WordPress! Today the darling blogging website & I are celebrating our 4 year anniversary. Together we have traveled the world, gone through periods of neglect and apologizes, and decided to tie the knot when I purchased my very own web domain name. Thank you, dear WordPress, for always standing by my side and giving me the confidence to send my words out into the big wide Interwebs. I’ve wanted to go to Cinque Terre (Five Lands) for years. I remember putting it at the top of my list four years ago when I decided not to go to Italy during my two week travel break while studying abroad. I will save that country and that trip for another day. And when that day finally came, I couldn’t have been more ready. 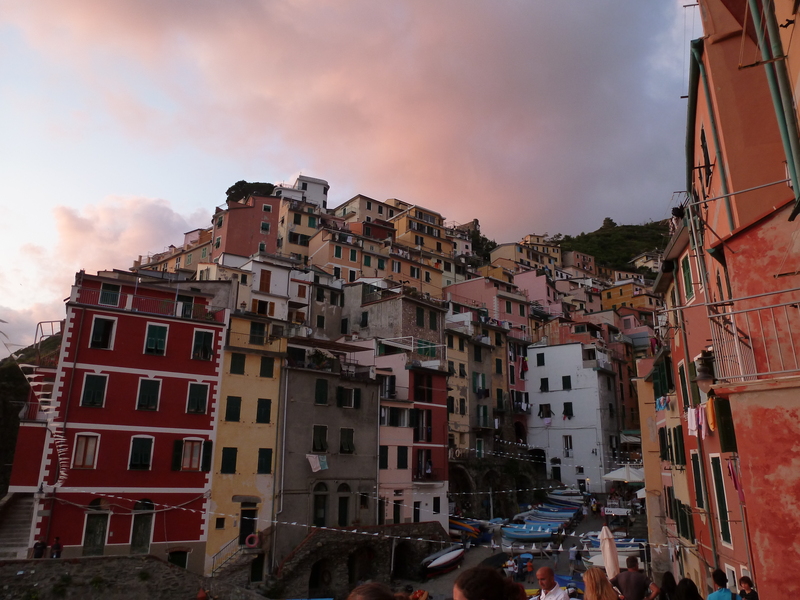 Cinque Terre has gained popularity with American tourists in the past couple of years. My friend’s Italian boyfriend asked me at dinner why people are so obsessed with these coastal towns and I didn’t have a good answer. Maybe because the hiking is amazing. Maybe because pictures of these villages are all over the Internet. Or maybe it’s because when someone goes there, he or she cannot stop talking about the visit for months. Either way, it was a must see destination for me and it should be for you too. 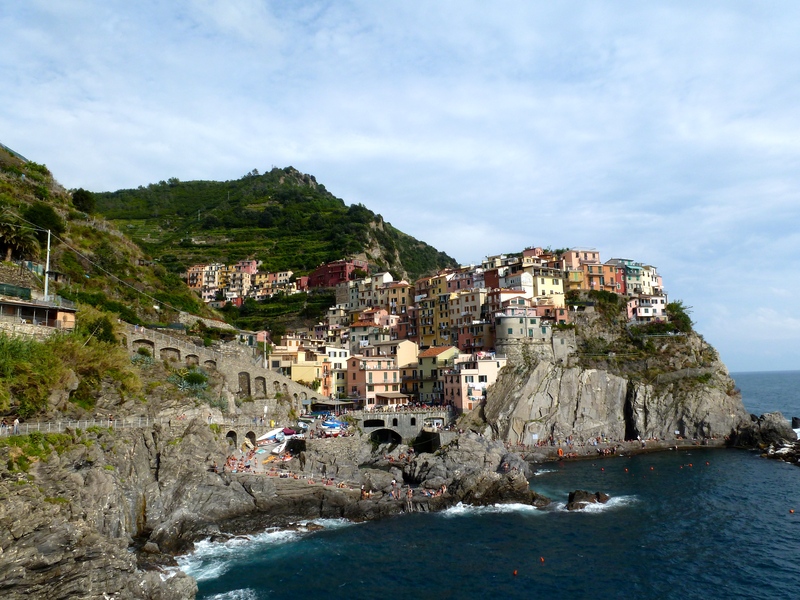 The coast is comprised of five villages: Monterosso, Vernazza, Corniglia, Manarola, Riomaggiore. 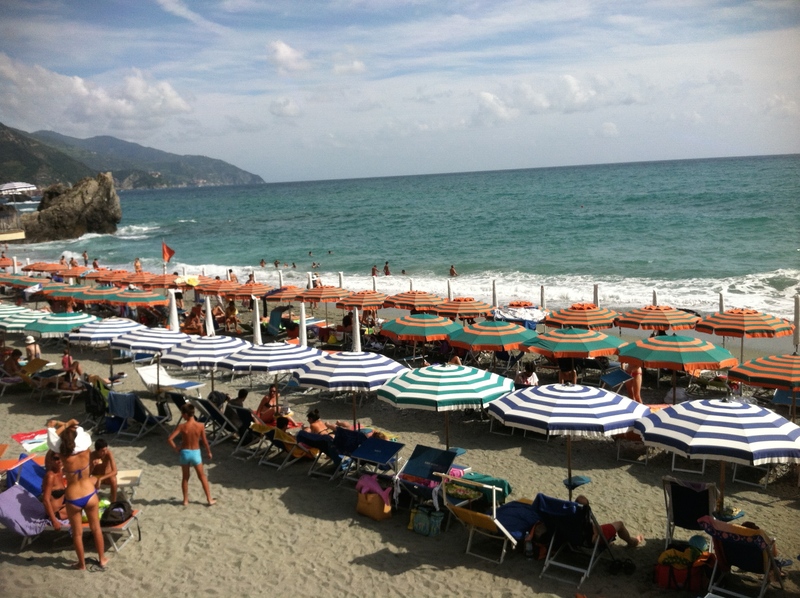 I stayed in Levanto, the next town over from Monterosso and found it extremely easy to take the train there and back. A variety of trails crisscross the mountainous coast connecting all five villages as well as the train system for those who don’t want to trek on foot. 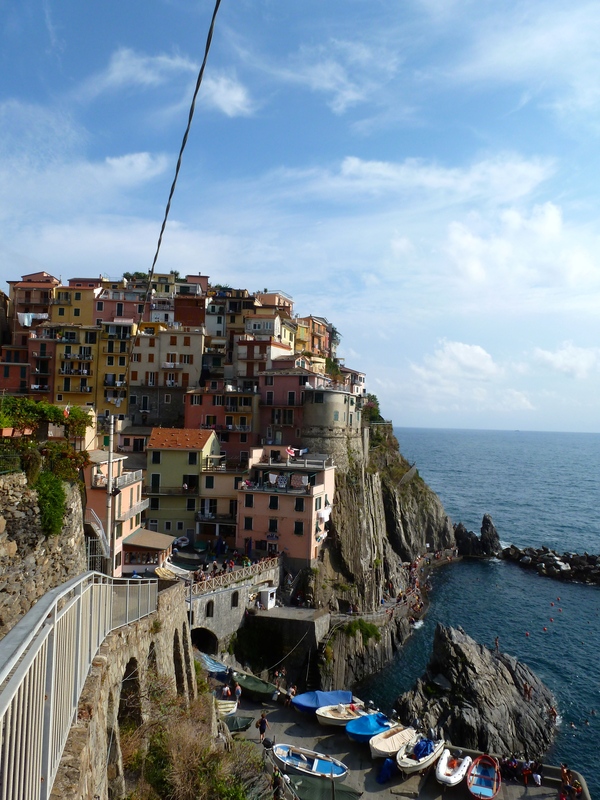 Landslides in the last year or two destroyed some of the popular coastal trails and the main route connecting Corniglia and Riomaggiore through Manarola is still closed to the public. Still there is no bad trail since every path and series of steps lead to amazing views overlooking the Ligurian Sea. If you are going during high season, be prepared for many MANY people. The morning trains are the best because they are pretty empty and run on time. 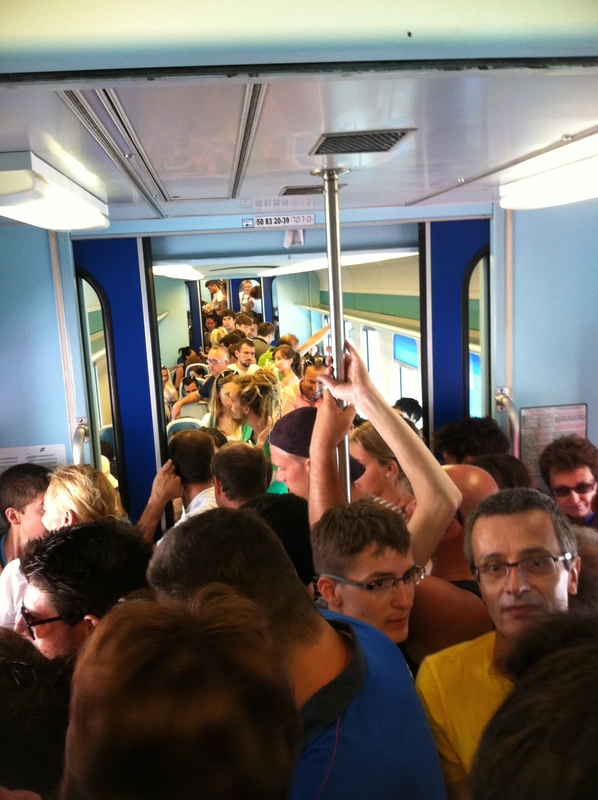 By the afternoon, the trains are 20-40 minutes delayed and each car is jam packed with people. But it’s worth it. Since many people opt to use the trains, the trails are pretty clear and there are so many options beside the coastal route that weave up into the hills. The beaches are very popular too and something I would have loved to enjoy if I had stayed more days. My favorite part of blogging used to be writing about one thought or one event. My words were focused on trying to pull out one idea that was bouncing around in my head and make it bounce around on the page. Now I have a zillion bouncing thoughts all at once. I spend 48 hours with just one or two people before jumping on a train not knowing if or when I’ll ever see them again. I download hundreds of pictures to my computer every day before planning my next destination and booking my next hostel. It’s amazing and crazy and a 24/7 adventure. But maybe I can slow down life just a little bit. Give descriptions of just one day or just one person. Because I’ve found the people and the individual fleeting moments have made this trip unforgettable. I’m counting the days until Jon & I will too see this beautiful area! We are just doing a day trip so which one or two towns would you recommend. Perhaps 2 that are next to each other that we can hike between?? We’d love to hear your thoughts and want to say that we are really enjoying following your trip!! Ah yes! You’re going to absolutely love it. If you really want to hike, I would recommend Monterosso to Vernazza to Corniglia because those coastal trails are still open. 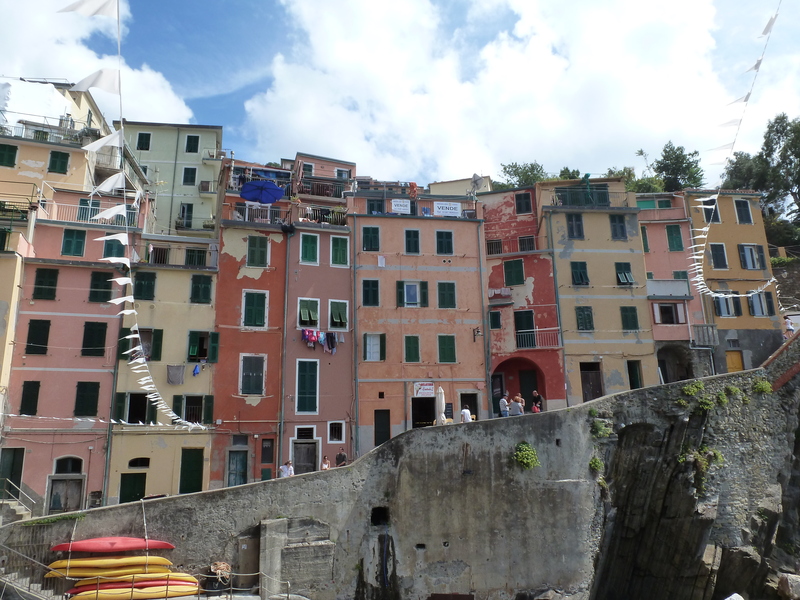 I thought the last two (Manarolo and Riomaggiore) were the most beautiful. Maybe try to get the hikes finished in the morning and try to stop at one of the remaining two before heading back?